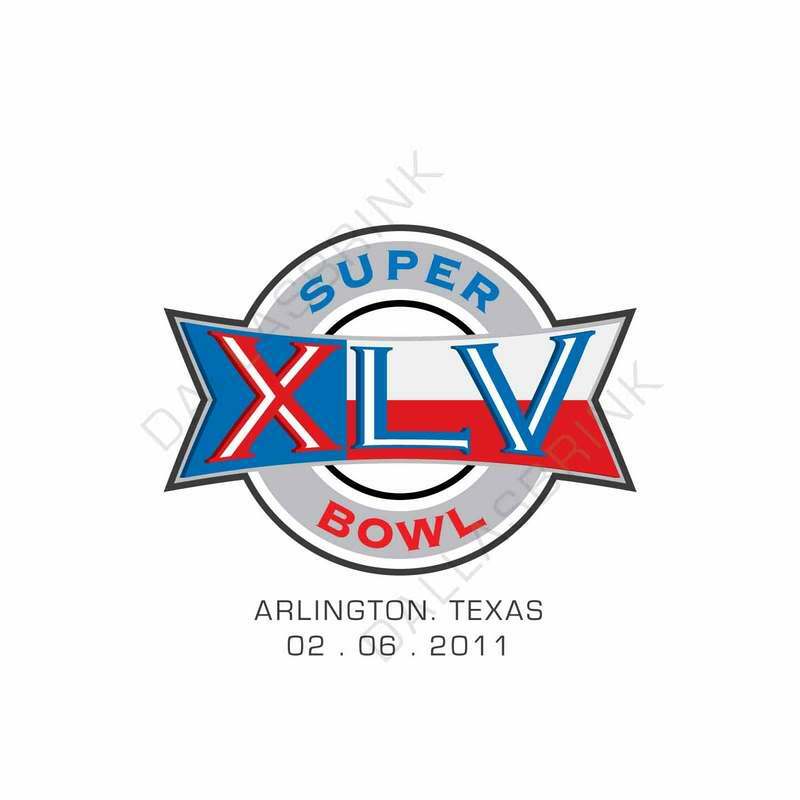 TheSportsKraze has the Jets and Packers facing off in Super Bowl 45 on February 6th. Who do you have? Since Monday, I have been giving a somewhat in-depth (but not too in-depth) division by division breakdown for this upcoming year in the NFL. It is never easy to pick the always unpredictable and parity filled League. But I am pretty confident in my picks and very excited for the first game come September. The Jets have had the best off-season of any team in the League. They made a phenomenal run last year all the way to the AFC Championship game. This team is better than last year’s squad and hungry to go all the way. It all starts with capturing the AFC East Crown. This team will be very fun to watch on HBO’s “Hard Knocks” television series. The Chargers have been holding court in the AFC West for well over 4 years now. And why would it change this year? Sure they need to figure out what the deal is with star receiver Vincent Jackson, but there is no reason why these guys should not capture a 5th straight West title. The loss of LT may sting locker room morale, but look for the Chargers to possibly meet up with their old franchise player come playoff time. 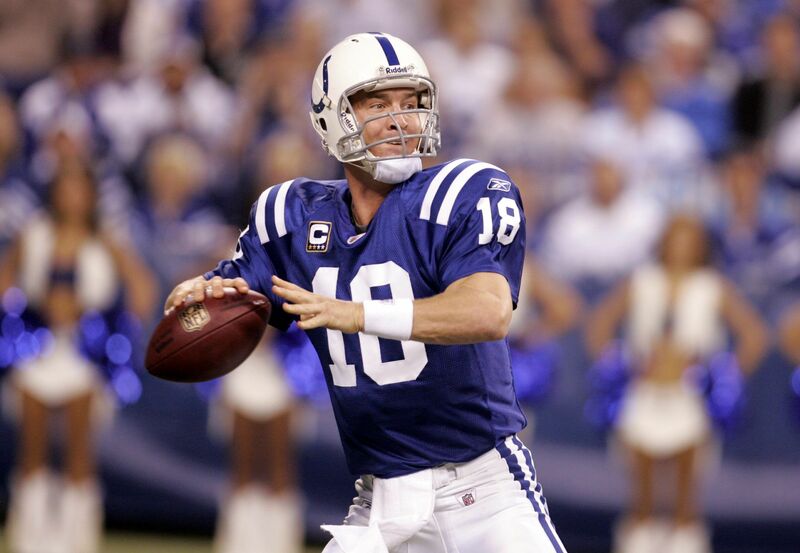 Peyton Manning and the Colts have owned the AFC South for nearly a decade now. This team is not only talented, but they are mentally tough, led by the game’s best quarterback. Expect the Indy boys to make another deep run as they ride their star for yet another year. The Ravens in my opinion are one of the top few teams in the entire AFC. They just unfortunately share a division with another one of the top couple of teams, the Bengals. Finally, the Ravens have a receiving corps that makes this team have a solid offensive attack to go along with their always scary defense. The Patriots are the Patriots. They are not the most talented team this year, but they are led by the best coach in the game and the best big game quarterback in the game. Expect these guys to have a solid year, but an early exit from the playoffs. The Jets will knock the Bengals out of the playoffs for the second year in a row. Darrelle Revis, Antonio Cromartie, and the Jet’s secondary will be up to the challenge of stifling the Bengal’s very talented receiving corps. So what if Dez Bryant does not want to be hazed by his teammates? The guy has big time potential to help out an already strong passing attack led by Miles Austin, Jason Witten, and Tony Romo. Could the Cowboys make this Super Bowl a home game? We will find out come February 6th. Okay, so this is one of the weakest conferences in the entire NFL. But the 49ers look to finally be somewhat back. Joe Montana, Steve Young, Jerry Rice, and the entire San Francisco Bay area will be very proud to see these guys make the playoffs for the first time in nearly a decade (8 years). The party on Bourbon Street is still going on from last year’s Super Bowl Championship. Luckily for the Saints, most of the team has been kept intact. Expect Drew Brees to lead these guys to another outstanding season. This division has two of football’s best at the top. 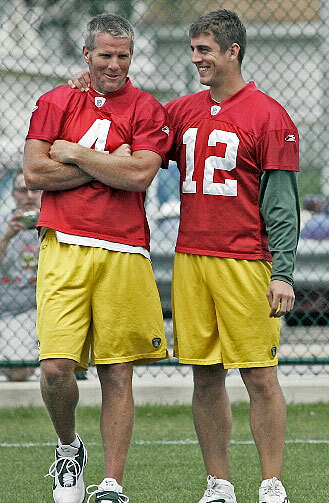 Brett Favre (if he returns), will get the better of his former team in the regular season. All eyes should be on the dates of October 24th and November 21st as these two powerhouses go head to head. But watch out for the Packers come postseason time as they steamroll their former franchise player. The Green Bay Packers are in my opinion the best team in the NFC. They just have to deal with the second best team, the Minnesota Vikings, before their quarterback gets tired. So these guys will be ready to roll come playoff time. The Giants participate in football’s best conference top to bottom. I just feel like they are the team who will find their way out of the 3 team battle between Philly, Washington, and themselves for 2nd place in the East, and the 2nd Wild Card spot. Revenge will be sweet for the Cheeseheads as they see Brett once again come up short of making his first appearance in a Super Bowl since 1997. Will Brett go for it again in 2011-2012? This game though will be an absolute aerial assualt, but the Packer’s ability to defend will help them come out victorious in a nail biter over the defending champion Saints. Super Bowl Prediction: New York Jets defeating the Green Bay Packers 31 to 28. This will just be an absolutely outstanding game in all aspects, as football’s two best teams battle it out in Cowboys Stadium. Expect Darrelle Revis to come up with some big time plays and help stifle the Packer’s amazing aerial attack. Rex Ryan will make the whole media aspect of this game quite entertaining. New York will go nuts. So there you have it. Those are the predictions from TheSportsKraze for the upcoming NFL Season/Postseason. Let me hear your thoughts on what should be an outstanding year in the NFL. Can Matt Ryan lead the Falcons past the defending Super Bowl Champion Saints? The NFC South had a banner year last season producing their first Super Bowl Champion since the Tampa Bay Buccaneers took it home behind a stellar game by Dexter Jackson in the 2002-2003 season. Jon Gruden was at the top of the coaching realm at that time. Now he is one of the best analysts that ESPN has to offer. But how about those Saints? What a heartfelt story and exciting team to watch. It was a very well deserved victory for the team and the entire city of New Orleans. Tampa Bay Buccaneers (4th place): Things have not been the greatest in Tampa Bay for the past couple of years. This franchise has not made the playoffs since 2007, and that does not appear to be changing this year. They have both an abysmal offense and defense these days, that really struggles at defending the pass. First of all the problem for this team starts at quarterback. The 22-year-old, Josh Freeman, has a world of potential, but no business starting in the NFL yet. This is not a League that young guys can typically make an instant impact in such as the NBA. The running back combo of this team in Cadillac Williams and Derrick Ward is mediocre at best. It is hard to run a ball on a team that will have such an anemic passing game. Which leads me to how much the loss of Antonio Bryant will hurt. The Bucs were towards the bottom of the League in the passing game last year, think what it will be like this year with Kellen Winslow as your only real receiving threat (he is a Tight End). On the defensive side of the ball, things get even worse. The only names you will recognize are guys like Ronde Barber and Aqib Talib. You recognize Ronde, because he once was great, and Aqib because of his run ins with the law. Plus Ronde looks to be all but retired, and may actually be retired before the season starts. So there you have it, not much hope for Tampa Bay in 2010. Carolina Panthers (3rd place): Next you have a Carolina Panther’s team that is coming off of a very disappointing 3rd place finish. Well expect the same this year. The one thing this team has going for them is a very strong defense. Jon Beason is rapidly becoming one of the best linebackers in the League. He is another great NFL linebacker out of none other than the U (Miami University). Chris Gamble is a gamer in the secondary and can come up with some big time plays. But the loss of Julius Peppers will sting. Regardless if the guy was overpaid, he still contributed big time and really was a guy that offensive lines keyed in on freeing up others on the Panther’s defense to run rampant. Can the Panther’s secondary still do well without a Julius Pepper’s attack coming at opposing QB’s? We will find out. Offensively, there is a brand new look with the sad departure of Jake Delhomme. It will be interesting to see how Matt Moore does with the pressure of being the starter and having a guy like Jimmy Clausen breathing down his throat. At least there is a great 2 headed monster at running back in DeAngelo Williams and Jonathan Stewart. Oh yeah, they also have a guy named Steve Smith to throw to. But the loss of Muhsin Muhammad will hurt and somebody will have to step up as the number 2 receiver. All in all, this Panther’s team has a lot of question marks. But expect the rushing attack to be solid and do not be surprised to see this team win between 6 and 8 games. 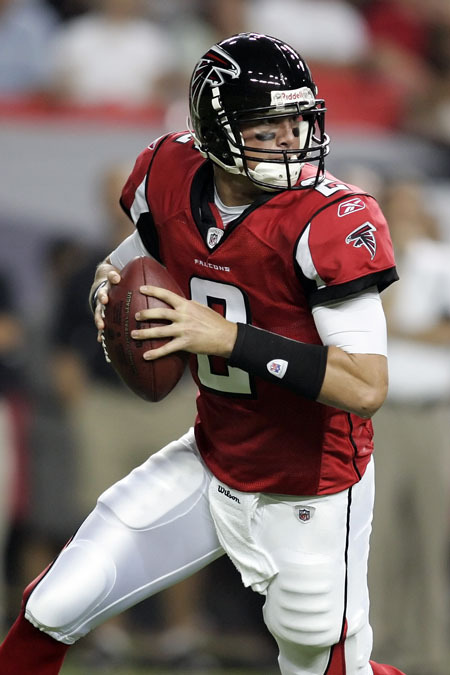 Atlanta Falcons (2nd place): Atlanta will boast a solid offensive attack again this year led by their fearless quarterback Matt Ryan. Ryan is getting close to entering his prime and continues to develop into a very strong NFL quarterback. This team has targets for him to throw to such as Roddy White, Michael Jenkins, and the future hall of famer, Tony Gonzalez. But make no mistake, this is still one of the NFL’s few run first teams. Between having a healthy Michael Turner, Jason Snelling, and the explosive Jerious Norwood, opponents should fear the rushing attack of Atlanta. Also word on the street is that Michael Turner has had a fantastic off-season and has a big time year forthcoming. On the other side of the ball, you may not have heard of many of these guys if you are not from Atlanta, but they are tough. Led by linebacker Curtis Lofton and safety Erik Coleman, this defense is very solid. They work very well as a collaborative unit and this year should be no different. The only question is can this team improve in stopping the pass? If they are able to improve as a secondary unit, they could challenge the pass happy Saints for the divisional crown. Expect this team to come up just short of a Wild Card spot, but to have a very solid season. New Orleans Saints (1st place): I know it has been a trap in recent history to pick the defending Super Bowl Champs to make any noise the next season. I know the past couple of years the defending champs have faltered in even making it back to the playoffs, but this team looks too good not to at least make the postseason. They are led by possibly the game’s best quarterback in Drew Brees. They have an outstanding receiving corps in Colston, Henderson, Meachem, and Shockey. Also they have probably the best receiving running back in the League in Reggie Bush. This team can hurt you in so many ways offensively. And with the way Drew Brees spreads the ball around, it does not really matter who you put around him or what defenses you throw at him. Brees will put up points. Also this team has the best run/pass balance in the League. They are old-fashioned, and though they appear pass happy at times, they are able to do this due to an established rushing attack. Though the loss of Mike Bell will hurt, expect Pierre Thomas and Reggie Bush to carry the load just fine and really compliment each other well. Then on the defensive side of the ball, can Darren Sharper repeat his amazing performance of a year ago? Or at least half of the performance? For a Super Bowl Champion, the Saints did not have a great defense. They really lived and died on the bend and not break motto. But who cares. If you are putting up points the way this team does, all the defense has to do is hold opponents under 30 (sometimes 35). Jonathan Vilma, Darren Sharper, and Roman Harper just have to ensure that this defense does not totally collapse. Due to the amazing scoring ability of the offense, they predominantly have to defend against the pass as teams try to catch up. Is the defense up to the challenge? So the NFC South looks to be very good as usual. I see the Saints repeating as champions and the Falcons having a great season, but just missing a Wild Card spot in the playoffs. The Saints will break the recent streak of defending Super Bowl Champions not making the playoffs. Carson Palmer is getting the unique opportunity this year to rejoin the NFL's Elite Quarterbacks with the addition of Terrell Owens. Count on number 9 to make the most of this opportunity. 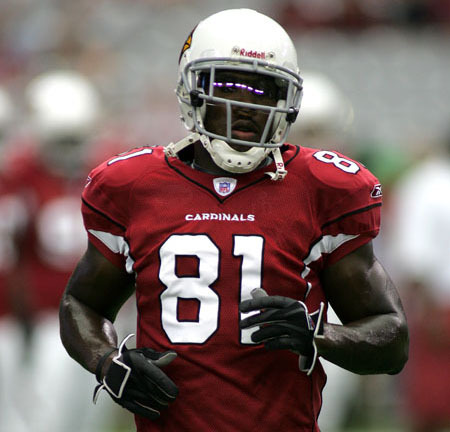 Terrell Owens will be a Cincinnati Bengal this upcoming season! As a Cincinnati fan, you have got to love it. There is an air of confidence flowing through Cincinnati as the boys head to Georgetown for training camp, and rightfully so. We just brought in a future Hall of Fame receiver to compliment another possible future Hall of Famer in Chad Ochocinco. I talked in my post on Saturday entitled, “TO Fo Sho” how the Bengals had nothing to lose in going for the superstar wide receiver. Boy am I happy now that we actually have him. So most sports talk of the last 24 hours has revolved around discussions of the lethal tandem Chad and Terrell will be. There has been talks of how the best buddies call themselves Batman and Robin. How they think next years’ games should be put on Pay Per View because people should have to pay to watch a combo like this. There have been comparisons to what the Miami Heat recently did in the NBA in uniting the 3 superstars. Well these 2 should make a lethal combo. And this officially makes this without a doubt, the deepest and most talented team of the Marvin Lewis era. Honestly, this team was already probably the best Marvin Lewis had ever had in Cincy even before the TO signing. But the real story in my eyes. Get ready for the Carson Palmer show. Can this once can’t miss prospect regain his status among the elite quarterbacks in this League? Can he prove to himself, his teammates, and the city, that he is capable of playing at an All Pro level again? 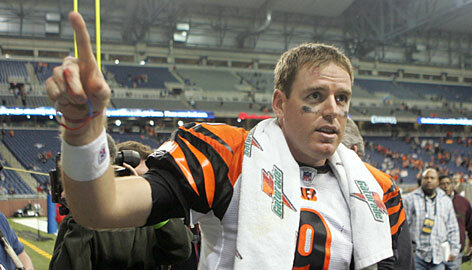 For those of you who are loyal followers of the Bengals have to somewhat remember what the Carson Palmer of 05 looked like. This guy was on his way to being one of the top few quarterbacks in the League. Since a horrible knee injury in a playoff game versus the Steelers that year, it has been pretty much all down hill. Well now Cincinnati and Carson Palmer get a second chance. The former USC Trojan standout is healthy. He is determined. And he has an outstanding supporting cast. I also love how Chad Ochocinco has been taking all the credit for getting TO to come to Cincy. Chad has been saying how this was all a preview of his great General Managing abilities. But the truth of the matter is Palmer was also key in getting Owens to come. Yes Chad did a great job on selling his good buddy, but Mike Brown and Marvin Lewis took the opinion of Palmer much more seriously than Chad’s in that there was no bias. Carson just wants to win ball games and said that Terrell could help take this team to the next level. Well not only can Terrell help take this team to the next level, he can help take Carson to the next level. He can help take Carson Palmer to that elite quarterback status level. For those of you who do not remember, Carson had an over 100 passing rating during the Bengals 2005 AFC North Division Championship year. Since then, his numbers have went down a little bit each year until this past season, where he made a little progress. But still most people continue to criticize Carson and give him no credit for the success of the Bengals. The Bengals had become an old school smash mouth football team. They lived and died on their rushing attack and defense last year. And that is fine. Get ready for a return to the glamour and glitz of 2005. Sure this team will still utilize the rushing attack and a strong defense, but they will also be able to play a high-octane aerial style of offense as well. This team compared to the 2005 version of the Bengals is much more mature and experienced than that team. They also will not be surprising anybody. People should be ready to watch the Bengals put up a top 5 finish in overall offense this season. The Bengals will have that rare mix in today’s League of being able to both run and pass the ball effectively. With Palmer at quarterback, Benson at running back, Chad, Terrell, and Antonio at receivers, and a rookie with a world of potential in Jermaine Gresham at tight end, be forewarned. This team will excite. Grab your popcorn. So please do not make this all about Terrell Owens and Chad. Sure Carson is fine with all the media attention being placed squarely on Ochocinco and TO. They have both always been media hounds. Palmer will let his right arm do the talking. The real storyline of this year in my eyes should be about the return of the Carson Palmer Show. This is his big second chance to join the NFL’s Elite Quarterbacks. Not too many guys get blessed with a second chance like this.